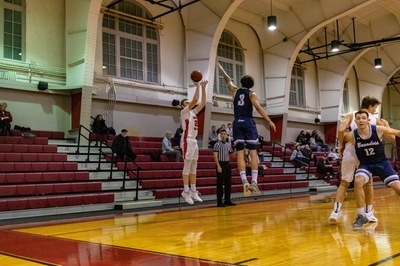 In a doubleheader at Brandeis University in Massachusetts, the Carnegie Mellon University women’s and men’s basketball teams competed in hard-fought battles ending with different results. 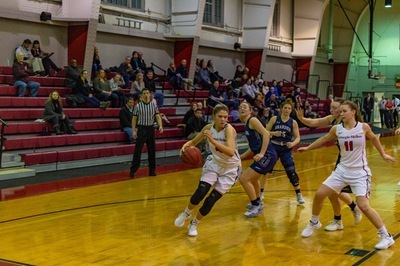 On Friday, Jan. 8, the women’s team (11–10) burst through in the fourth quarter to win their first game in three weeks and break a five-game losing streak. For the men’s team (9–12), the Tartans found themselves in a tight game that ended in defeat, another setback after ending a five-game losing streak of their own against the University of Chicago. The women were the first on the court, starting the game in a defensive battle that ended the first quarter tied at 12 points apiece. In the second quarter, the Tartans took the lead with solid shooting from Junior guards Makayla Filiere and Megan Jaeb. However, the Brandeis Judges put together a 10-4 run to pull ahead of the Tartans late in the quarter. At the half, the Judges led by just one point, 28–27. The Judges opened the second half strong, scoring the first six points of the third quarter. However, the Tartans responded with a 10-3 run, punctuated by back-to-back three-point shots from Filiere to tie the score at 37–37. Into the fourth quarter the Tartans trailed by five points, but midway through the quarter, they took the lead 59–58. They didn’t allow the Judges to score for the rest of the game, and they added eight more points to the final total, finishing 67–58. Filiere led the Tartans with a career-high 23 points (nine of them in the fourth quarter), and she shot 4-for-6 from beyond the three-point arc. First-year guard Leah Weslock added 16 points and eight rebounds. After the women left the court, it was the men's team's turn to take on Brandeis. Coming off a thrilling win at home the previous Sunday against the University of Chicago, the Tartans were looking to build momentum for the final games of the season. But this goal came screeching to a halt against the Judges. The first half was a tight back-and-forth competition, but for much of the half the Judges controlled the pace of the game. Trading baskets, the Tartans trailed by as much as eight points, but in short order, Junior guard Colin McNeil made a layup and added a free throw to push the Tartans into the lead, 35–34, with only 3:17 left to play before the break. In the final seconds, McNeil missed a layup but Sophomore forward Ethan Miller tipped the ball in, setting the starting score for the second half at 40–36, Tartans leading. The Tartans and Judges again traded shots and points coming out of halftime, but unlike in the first quarter, the Tartans controlled the pace of the game, keeping their lead. They led the game or were tied until less than three minutes left in the game, when the Judges took the lead, 66–64. The score was tied at 68–68 at 1:12, but two fouls by the Tartans gave the Judges the chance to secure the game at the free throw line. The final score was 72-68 for the Judges. Senior Seth Henry led the Tartans in scoring with 16 points, while McNeil dished out six assists. After traveling to New York to take on New York University over the weekend, both women’s and men’s basketball teams will return to Pittsburgh to host the University of Rochester next Friday.